Amplifier: Kenwood X801-5. I have limited amount of space (under the large glove box behind the passenger's seat). 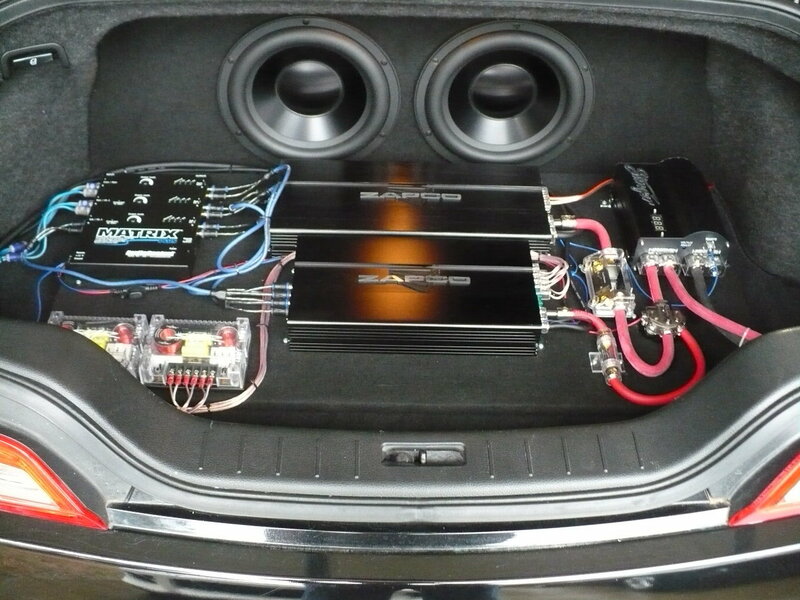 Subwoofer: JL Audio 10W0v3-4 in a custom 26-liter enclosure behind the driver's seat. Front: Hertz DSK 165.3 components going to the stock locations (in the doors). Rear: Hertz DCX 165.3 rear speakers (stock location just behind the head rests). My goal is to have a decent sound system. I don't need much volume, just better sound quality. Also, car is really small on the inside. Does that setup make sense, or am I making a silly mistake? Are these components good in their class (price/value), or can I do better? I have read good reviews of the Hertz overall, but I have also seen the occasional criticism, so I am wondering if these are good? Any input is most appreciated. Thanks! Last edited by sentinel; 01-22-2018 at 02:50 PM. I should have made that clear from the beginning. I have read good reviews of the Hertz speakers overall, but I have also seen the occasional criticism, so I am wondering if these are good? 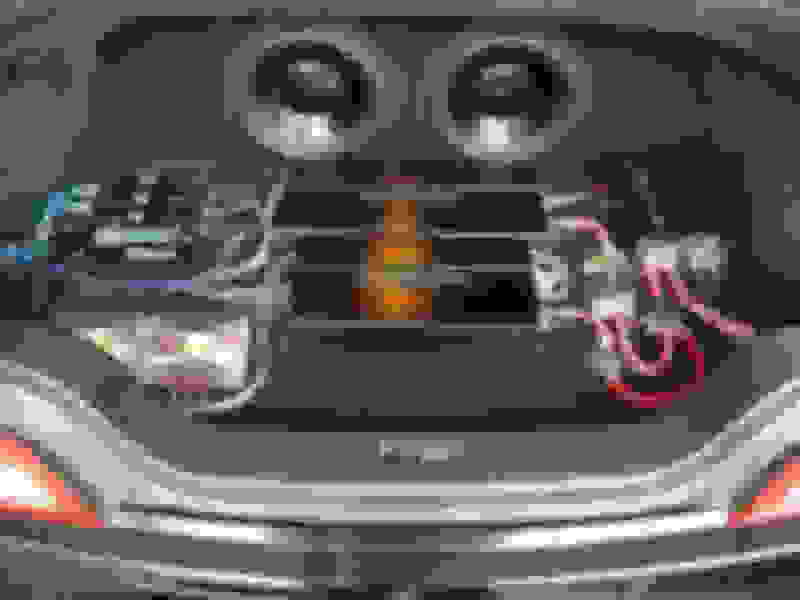 This is what I did in the trunk of my 08 Infiniti G37 Coupe. 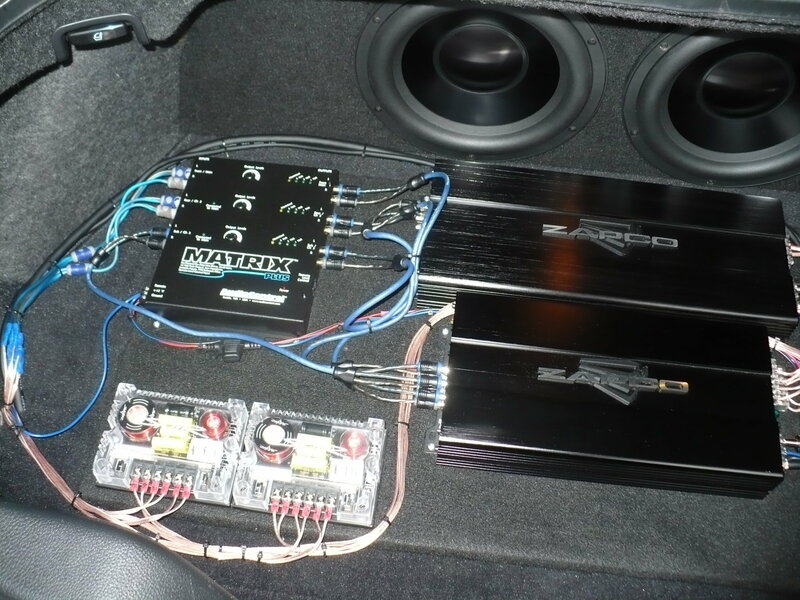 Kept the oem HU and integrated the wiring with an AudioControl Matrix Plus. Last edited by slovell1; 02-25-2018 at 07:14 PM. Sounds good, I'm still tweaking the subs but overall it's strong and detailed. It's not going to win a beauty contest installed as it is but it's very functional as everything is right there in front of you. The oem HU has 24/96 Burr Brown dacs so it's a decent sounding HU, beats the Blose system hands down and it's still early days. I believe its a bose integrated HU ? J/K well congrats. I see you went with different components then mentioned before? Are those audiofrog subs? The oem HU was manufactured by Clarion. 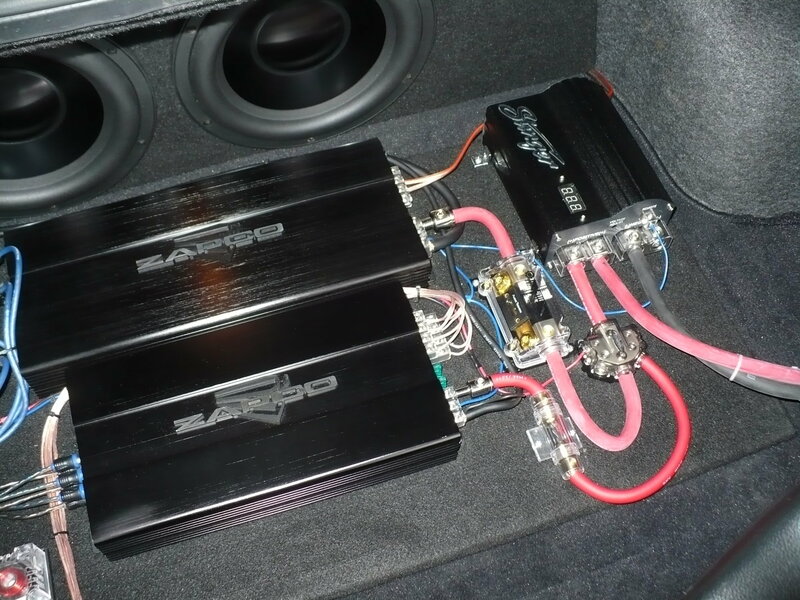 Dayton RSS265HO-44 10" subs wired for 4 ohms. No kidding Dayton... I was thinking of using some of there woofers on a home project. Whats your opinion of em so far? I like them, I've used them on several other projects. 91db sensitivity and they hit as hard as I'd ever want them to. Can't beat the price and the warranty. sawp out my bose premium for a kenwood and use the bose speakers... can it be done?